There are probably half a dozen Bowie albums I could have chosen. But this is the first I got to know really well. I would have been maybe 12 or or 13. It struck a chord for all sorts personal reasons. I was growing up in Bedford which was a dump – I haven’t been back in a long time. There was a kind of transgressive, anarchic freedom in the structure of Hunky Dory. You can hear it in the lyrical content, in that polished, stylistic, free-form rambling quality. Here was my national anthem – something I could get behind. The songwriting is obviously incredible. It’s also very playful and goes everywhere. There is something attractive about music which plays with convention, breaks it down. Consider a song like 'Kooks'… "…and if the homework brings you down/Then we'll throw it on the fire/And take the car downtown". I heard that and thought, "yeah… that’s my guy." Hunky Dory is a brilliant piece of work because it is simultaneously very approachable yet allows for a myriad of interpretations. I could obviously have picked Low or Heroes. 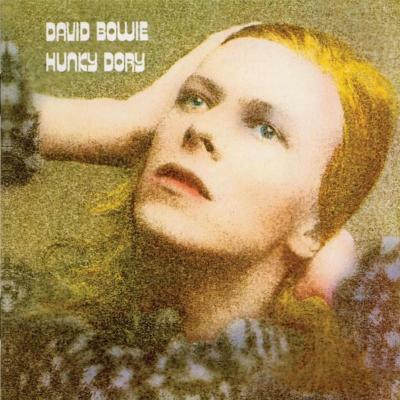 But I was really quite young when I encountered Hunky Dory. The first record you get to know by an artist is often the one that stays with you. It’s like the front door of a house. You walk in and you explore from there. That is the function Hunky Dory had for me.